Forklift truck accidents are a major cause of death and injury in the workplace. Many forklift truck related injuries involve pedestrians. A forklift truck is a unique, extremely heavy piece of equipment that travels at speeds of up to 18 miles per hour and it requires special safety attention.Even the most experienced operator can be challenged by lack of visibility, lack of awareness by pedestrians, or other specialized material handling factors. Extreme care should be taken to protect operators and the pedestrians around them. 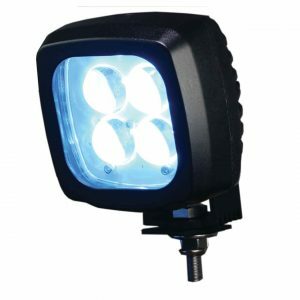 Its for these reasons why you should consider purchasing the Blue Arrow LED Light. The front and rear of the forklift are particularly hazardous because: Large loads carried on the forks at the front of the forklift can significantly reduce the line of sight for the driver. The rear swings outward when the truck is turning increasing the chances of striking another Power Industrial Truck (PIT), piece of machinery, product, racking, or a pedestrian. A major cause of fork lift truck accidents is pedestrians being struck by the vehicle or by the forklift load itself, usually through lack of awareness. The protection and safety of the workforce is paramount. It is a requirement for forklift truck drivers to be trained according to OSHA standards, including refresher training every 3 years. However, there is still more that can be done, and accident statistics make clear the need to give safety your utmost attention as a business operator. Blue Arrow LED Light is an effective way for managers, supervisors or safety professionals to provide extra preventative measures, reassurance and support to operators and employees. 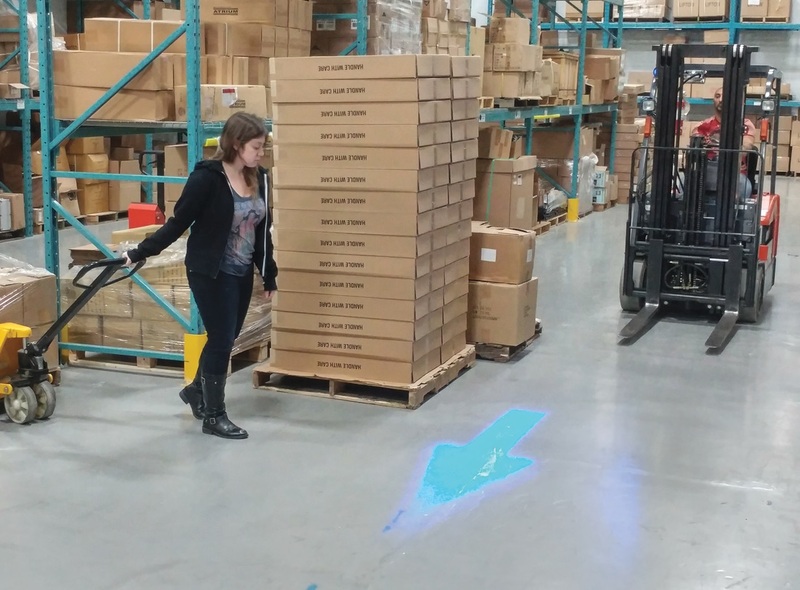 Blue Arrow LED Light provides the next level of forklift truck accident prevention, by increasing visibility and awareness of the vehicle and the intended direction of travel. 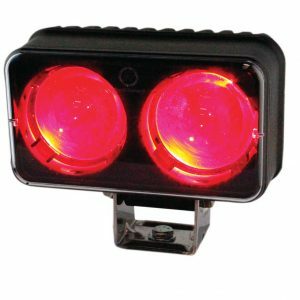 The light is effective at reducing risk around blind corners where the light projection provides plenty of advanced warning to pedestrians of the presence of the fork lift truck. 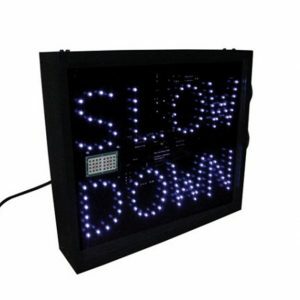 It also provides increased awareness in loading docks when exiting trailers or when entering or exiting aisles. 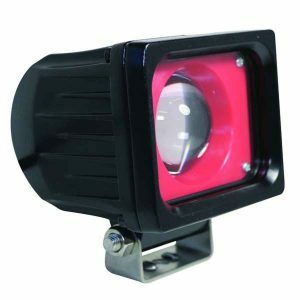 In addition to reducing the potential for accidents it may also help safeguard the products being handled. 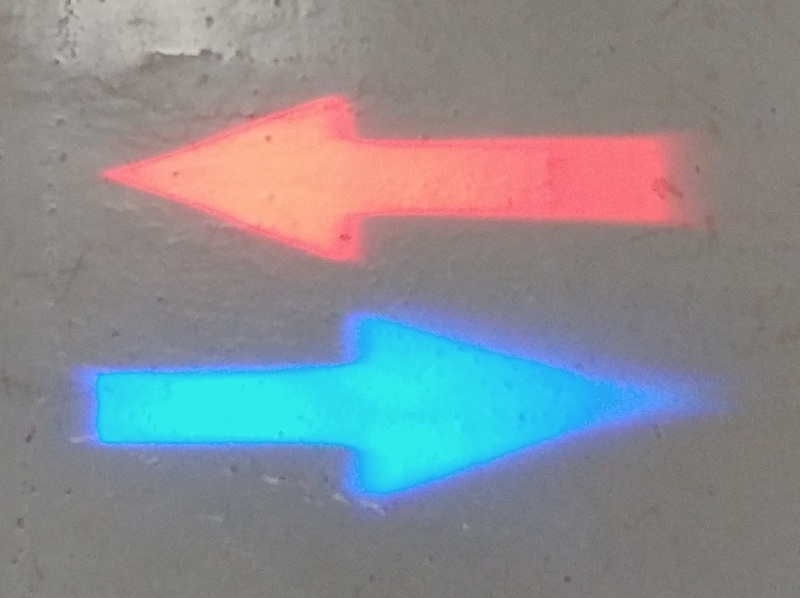 Blue Arrow LED Light mounts tidily to the front or rear of the forklift truck and is ready to use in minutes. 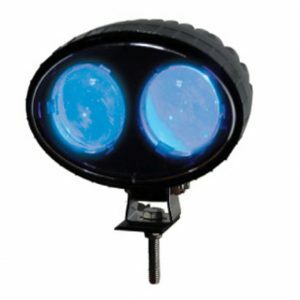 The Blue Arrow LED light comes with a mounting bracket for easy installation. The mounting bracket allows for installation without necessarily having to drill into the overhead guard. 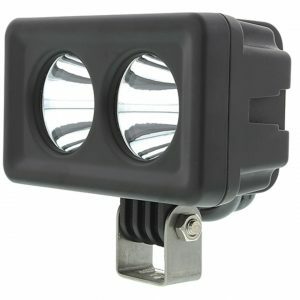 It is housed in a sleek, robust aluminium housing with its compact dimensions of 3.75” Width x 4” Height x 3” Depth. 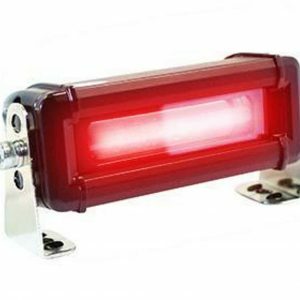 The Blue Arrow LED Light is CE rated and comes complete with a 3-year warranty for complete piece of mind. 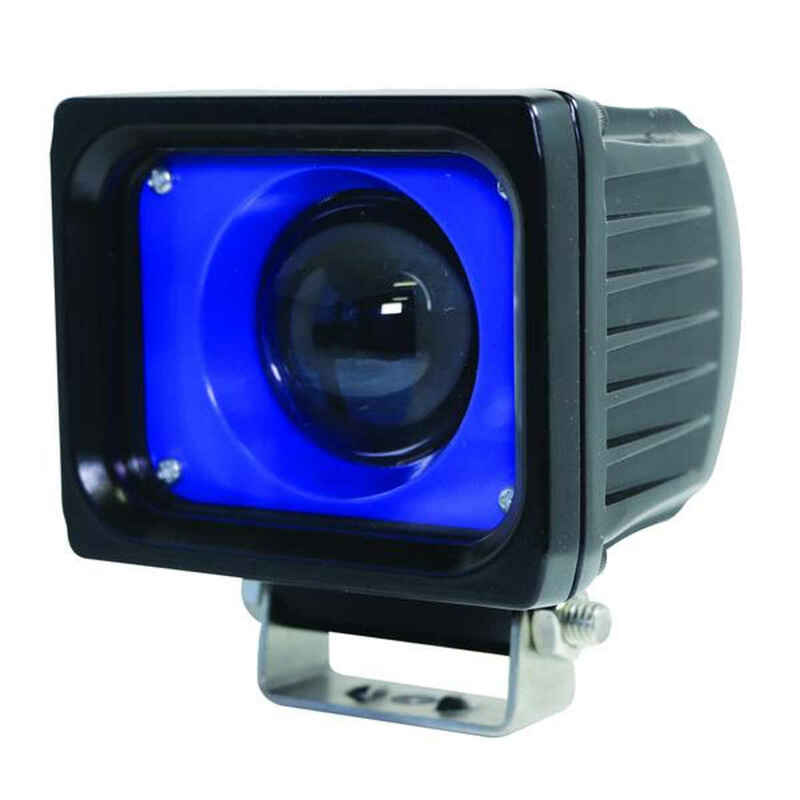 Blue Arrow LED Light is a versatile choice in warehouse safetyand can provide further protection for operators of all different kinds of equipment. 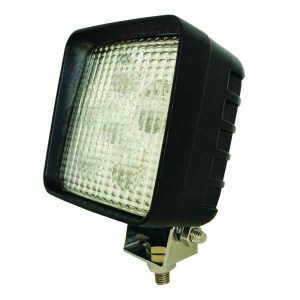 It can also be mounted on to scissor lifts, boom lifts, sweepers or any other piece of industrial equipment. Standardizing the approach to safety across multiple pieces of equipment will significantly raise awareness of risk with employees and provide that extra level of protection.